NEW AT LIVE OAKS FOR 2019-2020! 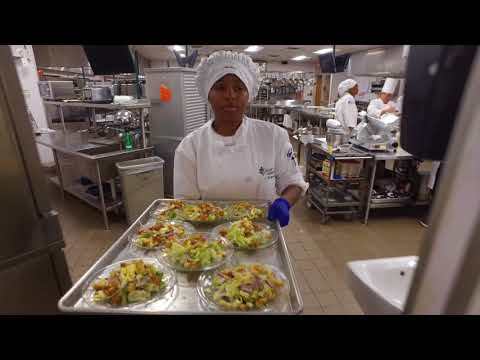 If creativity and food go together for you, then Culinary Arts and Hospitality Services is a logical choice. Learn to plan, prepare, and serve beautiful and delicious meals as well as the business side of operating a commercial kitchen. Use popular cooking methods to prepare a wide variety of foods and baked items. Create, write, and understand recipes and menus. Properly use and maintain hand tools and equipment found in a commercial kitchen and bakery. Supervise and manage a restaurant staff, including front office, reservations, and support service skills. Follow Scarlet Oaks Culinary on Facebook! Click here.